The Merna Law Group is one of the premier bankruptcy law firms in the state of Virginia. 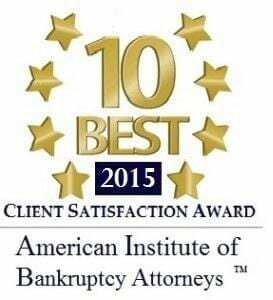 Winners of over 35 awards for Excellence over the past 7 years, our expert attorneys have represented 1,000’s of clients in extremely successful bankruptcy and divorce cases and are some of the best bankruptcy attorneys in the state. John G. Merna has also served as past President of the Tidewater Bankruptcy Bar Association. Prior to establishing the firm in 2003, Mr. Merna was the founder and partner in a prominent Los Angeles bankruptcy law firm. 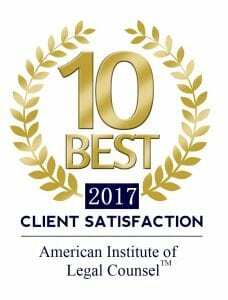 His experience with clients under stress on both coasts played a significant part in his philosophy that meeting an attorney does not have to be an impersonal, confusing, or judgmental experience for clients. The attorneys and staff at The Merna Law Group strive to provide accessible and understandable legal services in a stress-free and friendly environment. We invite you to give us a call. We look forward to seeing the smile on your face when you realize how much better we can make your life. OUR OFFICES: Our Virginia Beach, Newport News & Richmond offices service the following juridictions: Virginia Beach, Norfolk, Portsmouth, Chesapeake, Suffolk, Isle of Wight, Smithfield, Hampton, Newport News, Yorktown, Gloucester, Williamsburg, Richmond, Henrico, Chesterfield, Powhatan, Dinwiddie, Franklin, Accomack, Petersburg, Poquoson, Amelia, Prince George, Goochland, Charles City, Sussex.